Following on from our recent blog about using ice to help injuries, it’s time to follow this up with the other side of the debate: heat. Thankfully, this topic is a bit simpler! 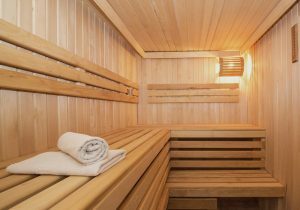 For a simple start, heat is good for muscles. Specifically, it helps to soothe trigger points within muscles and is one of the few things that can help with delayed onset muscle soreness (DOMS). Let’s have a look at these in a little more detail. 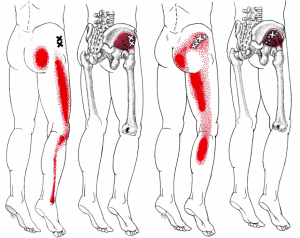 The trigger point in gluteal muscles can send pain a surprising distance down the side and back of you leg! Trigger points are strange creatures. They are tender, irritable areas within a muscle, that typically feel dense, or “knotted”. When they have pressure applied to them pain is felt at that location, as well spreading away – sometimes quite a distance. they can also mimic completely different causes of pain pretty convincingly! So, since trigger points are a potential source of confusion, practitioners across the scope of osteopathy, physiotherapy and massage tend to know the patterns of pain they produce and use this information to help untangle a patient’s pain presentation, hopefully leading to effective treatment. 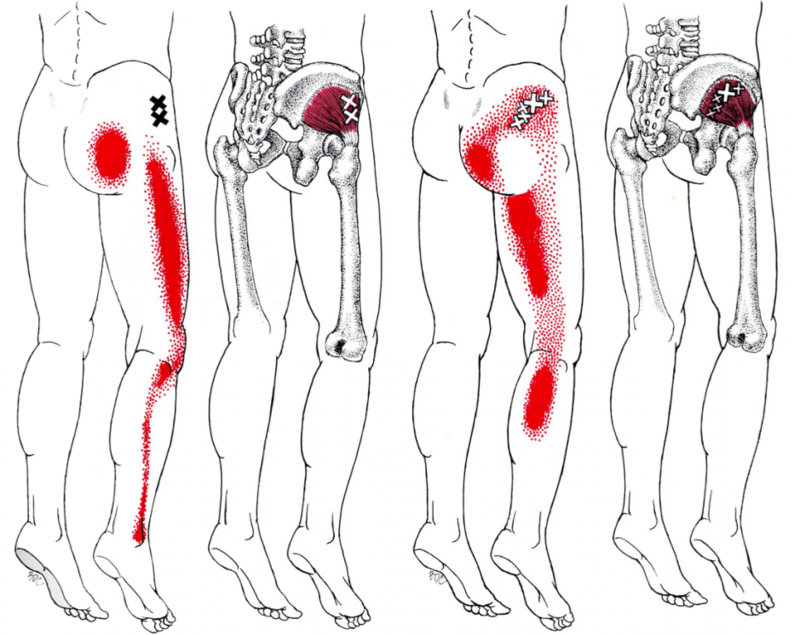 One way of treating trigger points is with Trigger Point Therapy – what a surprise! This involves applying reasonably strong pressure to the trigger points themselves and waiting for the muscle to “give up”. At this time the trigger point will settle; the tissue softens, and pain subsides. It sounds pretty simplistic, but a skilled practitioner will be able to offer some considerable relief when this method is successful, even in tricky, prolonged cases of pain. A similar approach to treating trigger points is with needling. Needles are inserted into trigger points causing a similar reaction to that described above, persuading the muscle to settle. It’s not the same thing as acupuncture (it’s much more simplistic) but nonetheless is a useful tool in a therapist’s kit. An alternative way of treating trigger points is with heat. Simple as that. Pop a hot water bottle on it or take a nice warm bath and the muscles will relax, the trigger point will calm down, and pain will subside. We all feel better when we’re out of the cold? Well, no-one is quite sure. But the fact that heat is generally a soothing experience is relevant, since this can help reduce stress, and stress can lead to the worsening of trigger points. Pain science tells us that anything that makes us feel safe and at ease is a positive step in helping tackle pain experiences. 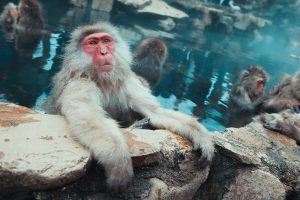 So, it’s not rocket science to understand that most people probably prefer the thought of being warm and relaxed than to be in sub-zero temperatures and stressed. Therefore, heat is a simple step to take in the murky waters of persistent pain problems. On a smaller scale, it’s also thought that heat, as it penetrates the top few centimetres of tissue, speeds up all the processes inside cells. This has positive effects on cell turnover, which is some cases helps reduce pain. Ice, in contrast, slows these processes down should they be speeding out of control. Should I Not Use Ice Then? Probably not in quite a high proportion of cases. If you have read our blog about ice, you will see that ice has an effect on the body’s immune response, reducing blood vessel permeability and also slowing nerve messages. This is good news when the body has suffered some kind of damage that hasn’t broken the skin, as the immune response tends to be a little over the top. However, these immune processes are not present in many other causes of pain, for example, trigger points, so applying cold to these conditions probably won’t help. In fact, applying ice to a muscle that has tight bundles in it will probably make it tense further, tightening the bundles, and making it all more uncomfortable. This is probably the opposite of what you want! What Else is Heat Useful For? 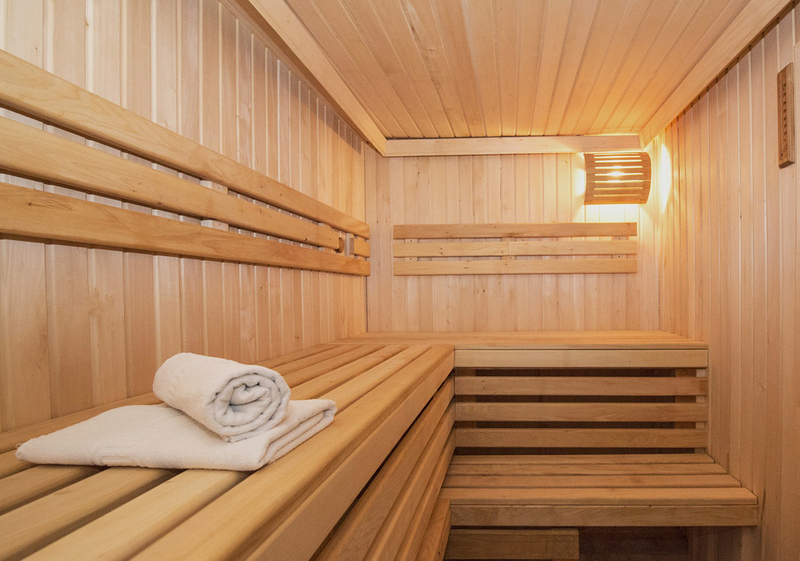 Saunas are a great way of helping muscles relax! Heat is useful for pain that follows over-exertion, such as the first day of skiing, trying a new class at the gym, or when you’ve increased your training loads. This type of pain is called delayed-onset muscle soreness, or DOMS for short, and research has failed to show any method for treating it successfully, other than the use of heat! On that note, we all probably know intuitively that muscles are happier warm than cold, hence the need to do warm-ups before exercise. It’s a common piece of advice for patients when their presentation involves some muscular contribution to merely keep the muscles warm, for example, an extra layer of clothing, or a hot water bottle. It’s quite an impressive list! Not exactly the most expensive form of treatment?! The simplest way is a hot water bottle. You can also buy heat wraps that hold various types of pad against your body -these might offer some convenience should you be on the move. Heat gels, such as Deep Heat, and Tiger Balm are popular with patients, but rather than generating heat in the tissues they’re applied to, they work by causing a superficial irritation of the skin that the body interprets as heat. You might want to ask why you would want to add further irritation to an area of the body that is already irritated? But there are cases of persistent pain where patients might like the distraction from their underlying pain, so it just proves that there’s a use for everything! Heat isn’t good for acute inflammation, for example after accidents (see our ice blog and the discussion of how ice slows the immune system). This also counts for when osteoarthritic joints are flaring up, or when the body is inflamed as a result of infection. So, if you’ve broken your skin, or are struggling with pain caused by an illness or accident, heat is probably not going to help. Admittedly, it’s not always easy to know if the pain you’re feeling the result of illness or injury, let alone what processes are going on in the body and how to best treat them. This is why we would always recommend seeking the opinion of a qualified medical professional, as that way, you are more likely to end up learning the best ways to manage your condition, whether it’s short-lived or persistent. Back pain, for example, can be caused by a long list of problems, some of which will respond well to heat, and others to ice. Seeing a practitioner who understands all the signs and symptoms, as well as being able to examine you competently is always the best first step. If this article has been of interest and you think that you are in need of some advice to understand how best to deal with your pain, our practitioners are here to help. As ever, the sooner the problem is dealt with, the better.